Capt. Owen Plair is a local Beaufortonian born and raised on the waters of Beaufort, SC. 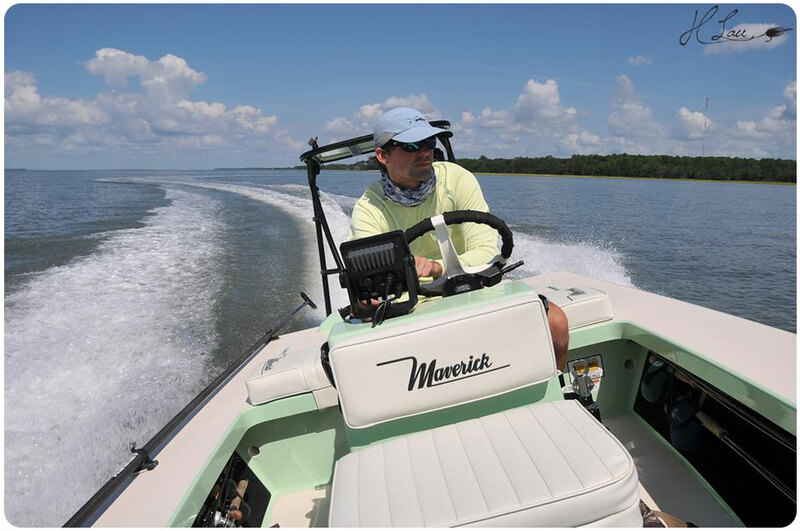 His passion for fishing in the Lowcountry ultimately lead to his career as a full-time fishing guide starting at 18 years old. Now over 10 years later, guiding is not just a career, but a life long passion for sharing his home waters with anglers from around the world. Capt. Owen ensures local insight and skillful techniques that will create a fun, productive, and memorable experience on the waters of Beaufort and Hilton Head, SC. Our fishery here in the Lowcountry is great year round and with the ever-changing tides, it creates a truly unique experience everyday. Whether you are Fly Fishing on his skiff poling the endless shallow water flats or Light Tackle Fishing with your family on his 22ft Bay Boat, Capt. Owen will accommodate your needs for the best experience possible. His career as a guide has brought him around the world fishing, including a 6 month season guiding in Russia for Atlantic Salmon on the world renowned Ponoi River. Capt. Owen is also a professional Fly Casting Instructor and has taught various fly fishing schools over the years. He has been featured in various national publications including Field and Stream Magazine, Sports Afield Magazine, Eastern Fly Fishing Magazine, Sport Fishing Magazine, Atlantic Salmon Journal, South Carolina Sportsman, Florida Sportsman, Southern Culture on the Fly, Hatch Magazine, and Gink & Gasoline. Depending on the season you will target Redfish, Seatrout, Flounder, Cobia, Triple Tail, Tarpon, Jacks, Sharks, and many other various local saltwater species.